I have achieved what Moore had in mind with my granite sculpture BALANCE now displayed in an outdoor setting at my old school, Camberwell Grammar, Melbourne. It sits well in the designed outdoor space and complements it too. This year I return to the Willowtree Sculpture Park, Laggan, NSW for another show which takes place in early November 2017. It is a bonus to have a curator assist with the siting of the sculptures in the 150 year old garden. Works could potentially be lost amongst the huge Pine trees. Unlike paintings done on a 2 dimensional surface sculpture working with 3 dimensions takes up space and space has an energy component. Think of personal space. We don’t like it if someone we are talking to comes too close which can be seen as invading our personal space. Similarly sculptures need to be in just the right spot so people can view it from all sides without tripping over the work! Is the work safe? Is it liable to fall on someone? Can people safely touch the work? 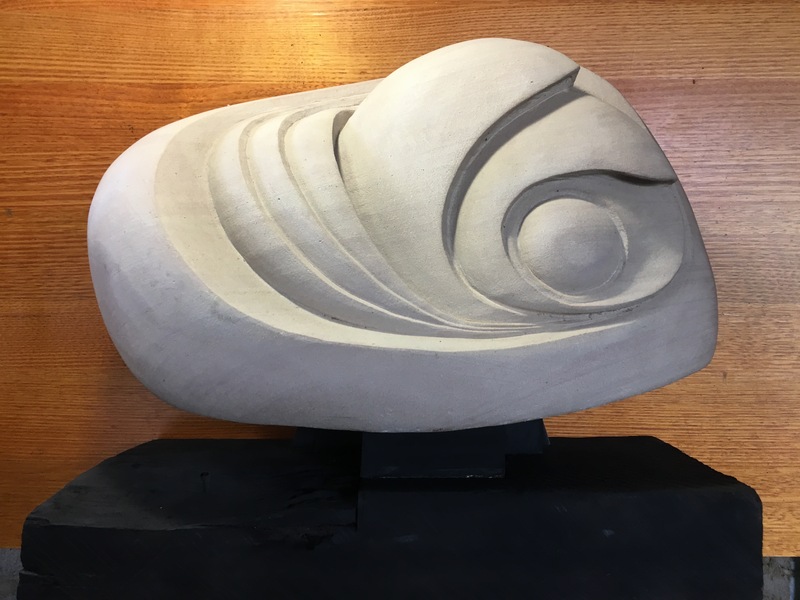 One of my 1.2 metre high stone sculptures was destined to be placed in a public space at a correctional centre courtyard area. The wardens object to the work on the grounds that the sculpture had a hole right through the stone. They argued that it might be possible someone would put their arm in the hole and might break their arm trying to remove it. Medium to small stone sculpture usually need to be displayed on a plinth or a stand of some sort. But what is to stop the work from toppling off the stand or being removed without authorisation? 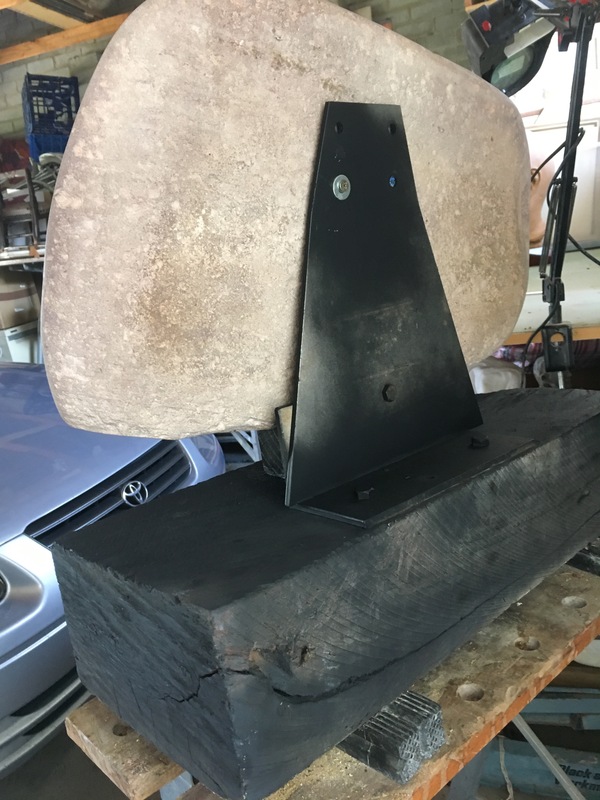 I have developed a metal bracket for my sculpture EYE OF THE STORM which secures the stone sculpture with screws at the back of the work. Museum curators face many issues dealing with safety and security. Museums and large galleries are good places to see how the professionals do it. Purpose made metal brackets are used extensively and clear perspex used where the metal might be distracting.